We are happy to provide you with any information you need on the wide range of garage doors that we offer. Below are some of the questions we are most frequently asked about our variety of products. Is an up and over garage door safe for families with children or pets? Each of the up and over garage doors that Wessex Garage Doors offer meet EU regulations regarding safety and are fitted with anti-drop devices to ensure they are as safe as possible. As with any piece of heavy equipment, we recommend full adult supervision of children when garage doors are being operated to keep your family safe. When replacing an existing door should I keep my old track? Each brand of garage door has its own specific track which its doors have been designed to work on. As such we highly recommend replacing your current track when you have your new garage door installed. Leaving the current tracks in place can cause friction and wear on your new garage door which will inevitably lead to problems with operation and the reduction of the lifespan of your new door. A new track will ensure correct performance and also improve the safety and security of your model as it will be running on the track it is designed for. It should also be noted that if you use a garage door on an existing track that it is not designed for, issues that arise from this problem can actually invalidate your warranty. All of the garage doors that we offer come with a multi-point locking system as standard to ensure the highest levels of personal security for your home. If you would like more information about garage door security we would be happy to talk it through with you. Do you offer garage doors approved by Secured by Design? Yes, we do. We offer doors approved by a number of manufacturers who are certified by Secured by Design as offering the highest levels of protection. Get in contact for more information about which door to choose. Do you offer up and over garage doors without gaps around the opening? 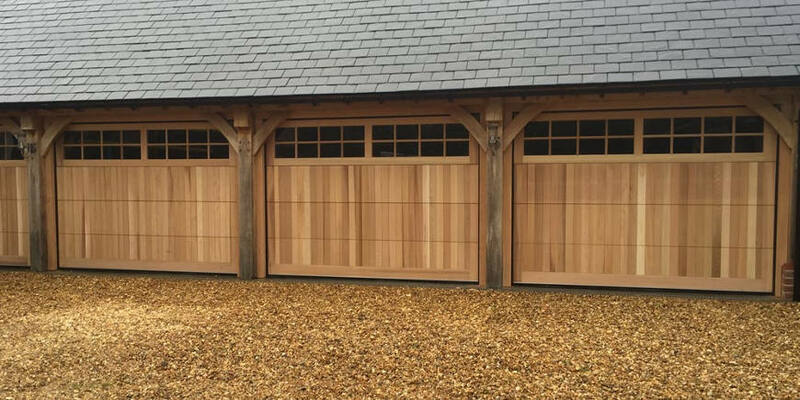 All of the doors that we offer are made to measure to ensure that they are perfectly sized for your garage. This means that any gap around the opening of the garage will be minimal. If your garage door opens directly into the house or you are concerned about potential drafts, we can offer thermally-insulated roller or sectional models. Do you install insulated garage doors? Yes, we offer a wide variety of thermally-insulated garage doors. We recommend these in the situation where the garage is attached to the property or any garage that has a room off or above the main space. For the best thermal insulation we recommend either roller or sectional garage doors as they offer the best possible seal and can be installed with full thermal insulation.